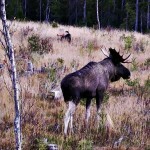 Come with us for a great wildlife experience in the wilderness of Jämtland. 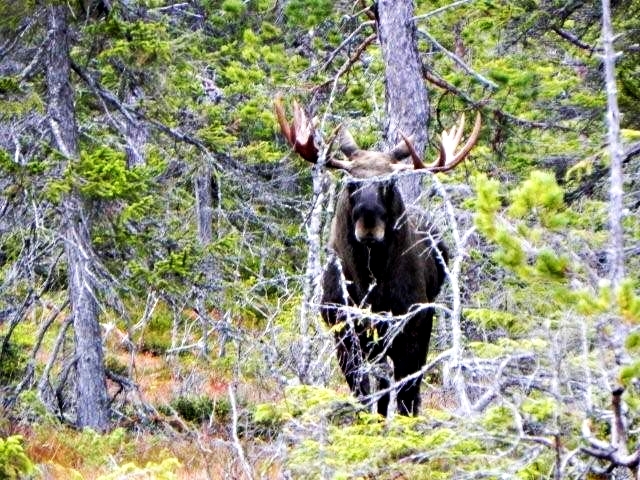 We entice wild elks/moose to come show themselves for us, we call for them – and you won’t believe your eyes and ears! 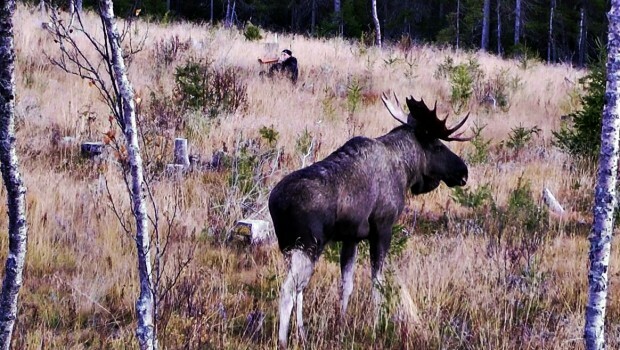 During a short but intense period of time each autumn, the elks/moose are in the heat and want to mate. That’s the time when we are able to be a part of their kingdom and come very close to these big and fascinating animals. The sensation of being able to hear a big bull working its way through the forest and then stopping at maybe only a few meteres from where we hide, is a great experience that you will carry with you for the rest of your life. 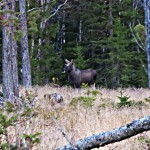 Weather you are a skilled wildlife photographer or a rookie among nature lovers, the encounter with a wild elk/moose at the distance of only a few metres will activate all your senses. The impressions from your hearing, sight, smell and taste will surely make the adrenaline rush through your veins and your body shiver- we promise! So how is this done? 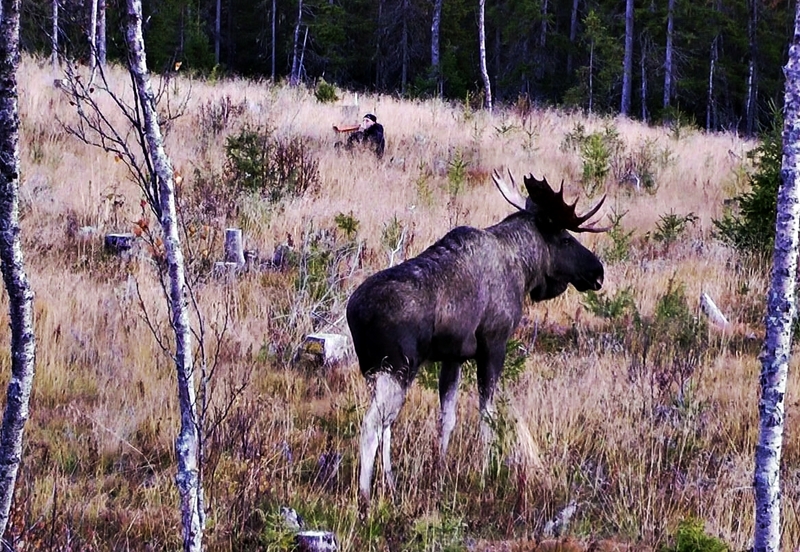 Well, a guide and a guest (or two) will take a walk in the area where we know from experience that the elks/moose are gathering during the heat. 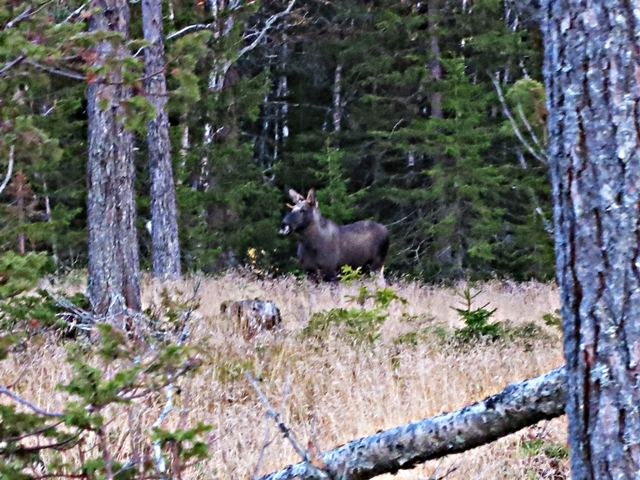 We gaze and scout and listen together and the well experienced guide will imitate different sounds that elks/moose often produce. By that he will try to get in touch with elks/moose in that area, since these sounds travel far in the woods. When the first response from an elk/moose is heard, we stop. To sweeten the deal, it’s not rare that we actually have a conversation with it and this usually makes the curious elk/moose expose itself to us. 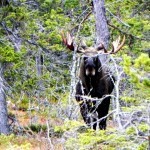 Exclusive elk/moose calling with guide (included all meals breakfast, lunch, dinner, snacks and transports). Full day (05:00-20:00) with optional break at lunchtime. The activity can be sensitive and affected by weather, wind and other unsusceptible factors. We suit the activity to the guests physical ability and demand. This experience can only be booked during the period of 25/9 to 12/10. Interested in longer experience, please contact us for more information.